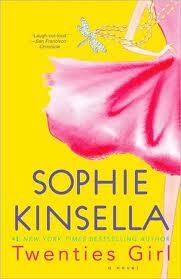 Sophie Kinsella introduced me to chick lit and, after reading many other authors in the genre, she's still my favorite. For those unfamiliar with the term, let me preface my review with a summary of chick lit. 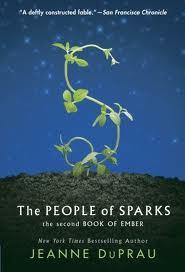 The books are light, entertainment reading and very formulaic. The story always follows a relatively average woman in her twenties who has a specific or multiple problems with all of the following: her family, her friends, her work, and her love life, and sometimes something else, just in case that's not enough! In a relatable, humorous voice we follow the protagonist as everything only becomes worse and worse. One trait common in chick lit: things must get worse before they get better and I never predict rock bottom; the authors always show me there's a longer fall than I imagined. Of course, then everything gets very, very better. The story's topped off with a happily ever after ending: family and friend problems resolved, character realizes and finds what she wants from work, and she always ends up with a gorgeous, wealthy, kind man. In short, chick lit might be the modern version of happily ever after type fairy tales. I've read most of Kinsella's books and didn't expect TWENTIES GIRL's speculative fiction element: a ghost. Of course, Kinsella focuses on Lara, our heroine, more than the fantasy premise and she definitely pulls off this twist to chick lit. After Lara attends the funeral of a great aunt she never met who died at age 105, she finds herself stalked by the great aunt's rather bossy ghost. Lara is definitely a little self-involved and a lot of crazy/clingy, but I found her easy to root on nonetheless. Of course, she does grow over the course of the book and how a characters changes counts more for me than how they start off. For the critical minded, chick lit is an easy genre to nitpick. If you haven't read any chick lit books, you can probably still find fault with the genre simply from my bottled formula description above. However, Kinsella always injects said formula with real heart. For one example, the contrast between Lara and Sadie (the ghost), both somewhat selfish and quick to tell the other off, points out how easy it is to recognize others' flaws and how hard to see your own. The ending in particular is superb. Stellar, surprising, sentimental, sweet, satisfying. I enjoyed the entire book, but the ending elevated the whole story and reminded me why Kinsella's my favorite chick lit author. SARAH REES BRENNAN was born and raised in Ireland by the sea, where her teachers valiantly tried to make her fluent in Irish (she wants you to know it’s not called Gaelic) but she chose to read books under her desk in class instead. After college she lived briefly in New York and somehow survived in spite of her habit of hitching lifts in fire engines. She began working on THE DEMON’S LEXICON while doing a Creative Writing MA and library work in Surrey, England. Since then she has returned to Ireland to write and use as a home base for future adventures. Her Irish is still woeful, but she feels the books under the desk were worth it. CODE NAME VERITY by Elizabeth Wein. I'm loving it! 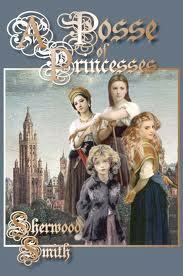 I've been a fan of the author since her take on Arthurian legend, THE WINTER PRINCE. I love getting the ideas, and thinking about the characters and planning my favourite scenes, and writing when it's coming in a flood...and I hate when there's a revision you have to make, but it's hard to do and means losing something you love. I'm very linear, because otherwise I'd write all the exciting bits and none of it would make any sense. I like to write with my writing friends if I can, and loud music if I can't...sometimes I write in front of the TV! Very much not the ivory tower type: I feel like to write about the world, writing in the world helps. Reading, obviously. ; ) Narratives of all kinds, so theatre and cinema as well. Swimming and travelling! History. Fiction. Travel. Landscape art. Everything is inspirational! Fantasy is a way of talking about reality, writ large. Writing about dragons tells us our own dragons can be defeated: writing about thunder gods describes how we feel when we hear thunder. Young adult was the first fantasy I loved. I read Tamora Pierce's SONG OF THE LIONESS before I read THE LORD OF THE RINGS, and my love for fantasy was cemented by reading Diana Wynne Jones and Margaret Mahy, both primarily writers for children. It's a very exciting time in your life, when you change most. How was THE DEMON’S LEXICON born? I saw a documentary about human children who had been brought up by wolves, and I wanted to write about what a member of a dangerous, fantastical species raised by humans would be like. 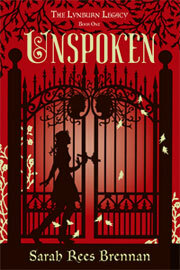 UNSPOKEN whiplashes back and forth between hilarious and intense (and I mean that as a compliment). Which was more fun to write: the humor or the drama? Thank you for the compliment! Both, I think. I love writing jokes, but I couldn't write a book that was all jokes -I tried once - but I also can't write a book without humour. I don't care about the dangers characters face, unless those characters have a sense of humour! Writers write. Don't talk about wanting to do it more than you do it, don't worry too much about publication or your own flaws - write, write, write and you'll get better. 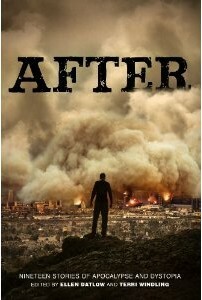 I enjoyed WITHER and loved FEVER, so I went into SEVER with high expectations. Rhine has a lengthy, ambitious, and unusual - for lack of a better term - bucket list. She wants to find her brother and stop his new destructive goals, find Gabriel, free herself permanently from Vaughn, and ensure the safety of Linden and Cecily, to list a few of her objectives. Given her life expectancy of twenty years, her time left has dwindled down to the point that the more cynical could lament, "Why bother?" Since book one, I've praised DeStefano's complex characters. Many authors can craft well-developed characters, but where she really impressed me in SEVER is showcasing their change and growth. Cecily's probably the most prominent example. If handing out simplistic labels for these characters, book one would have earned her "shallow simpleton." By book three, she has enough self-awareness to perceive how others see her and to realize the horrible consequences of some of her past actions. Sadly, for all the negative adjectives one could throw at her, Cecily was a bright, bubbly spark in an otherwise dull, doomed world and the entire story flickers to a darker tone with her fading optimism. In the first book, I struggled a bit with Vaughn as a character. Then those problems disappeared in book two. Now some of my same issues come back into play. He's a bit too "the-pure-evil-villain" for my tastes and he's the only one I constantly struggled to pin down long enough to understand. Every time I think I have a handle on his motivations and thought-process, a new action or statement will challenge that, so I try again. He also emerges as the root for Rhine's every problem and that frustrated me, as well. I'm teasing spoiler boundaries now, so I'll just say that most of her problems can be traced back to Vaughn and in some cases I think it would be far more compelling if he had no part in that specific dilemma. I also wish the story didn't go into the science behind the virus at all. I consider THE CHEMICAL GARDENS trilogy soft sci-fi. Science fiction imagines where science can go. Hard science fiction logically explains how this new science works, sometimes so convincingly that you marvel we can't actually utilize it. (Sometimes, we can!) Soft science fiction doesn't explain the new technology; usually the science fiction premise is background to the real plot. In this case, I consider THE CHEMICAL GARDENS far more character-focused than science fiction focused. Anyway, so far the virus hasn't been explained very much, but as Vaughn desperately searches for a cure some bits and pieces of explanations come through and a lot of it doesn't make sense. For one vague example, one of the details about a potential cure strikes me as the first thing anyone with any grasp of science would have thought to try. So I would have preferred no scientific explanation than lax attempts. I confess the ending didn't live up to my hopes, but I didn't really think this trilogy could possibly end in a way I would love. Satisfying or unsatisfying don't quite cover my response. Satisfying is too generous and unsatisfying too harsh. Appeased might be the best word to describe my feelings on the end. Ultimately, I think the story was bigger than its box. DeStefano created such a wide-scoping, ambitious world that I can't imagine any perfect ending with only three books. Perfection's overrated, though, and this is a captivating trilogy I won't soon forget! It's clear from the first chapter that Princess Rhis might want different things for herself than what her family wants for her. Then the story sweeps her away from home to a grand coming-of-age party for a prince that not only includes a collection of young royalty but excludes those pesky adults who drive Rhis so crazy. You can't blame her for being excited! I found the primary plotline remarkably predictable, but the secondary plotlines and the wide cast of fun, believable characters saved the book for me. The characters bring to life what could be a stale story. Rhis is arguably one of the most introverted of the group, though she can be social and she's always intelligent, good-natured, and welcoming. She has a knack for noticing who's being left out of the fun and making room for everyone to enjoy themselves. Aside from Rhis, the party includes an abundant cast of young princes and princesses, not to mention male scribes whom the prince has enlisted to participate simply to even out the girl:boy ratio. And, as one would expect with a huge group of unsupervised teenagers, complications ensure. I can't be too specific if I want to avoid spoilers, but let me say that Taniva stole the show from my perspective. She plays a minor role through most of the story and from a distance can seem almost cookie cutter "tough princess," but she steps forward when it counts. She (and her relationship with an individual who shall remain nameless for spoiler reasons) made me laugh aloud many a time and I still can't think back on her without cracking a grin.